Home > News > Big vs. Small Roofing Companies: Which is Better? 16 Jan Big vs. Small Roofing Companies: Which is Better? The roofing industry is unique in that it is generally feast or famine. As such there are many questions homeowners rightfully have about choosing between big vs. small roofing companies. For example, in my hometown of Lacombe, Alberta there was recently a massive hailstorm which resulted in all of the roofs in that town needing to be redone. Roofing companies sprang up overnight and insurance companies were desperate to find someone to fix their clients roofs before leaks became a problem. There were not enough established companies to meet demand and many residents had to wait upwards of eight months to have their home re-roofed. Roofing becomes a boom industry when disaster strikes; but when there is no hail or windstorms roofing is like any other industry. There are the big players and the small businesses and homeowners are left having to choose between big vs. small roofing companies. It is pretty easy to tell the difference. 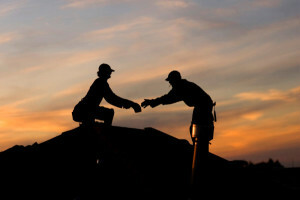 Most small roofing companies have their crews run by the owner of the company. He or she will either be up on the roof putting shingles on or be close by, supervising the people that are. Big companies work differently. Large roofing companies have two different kinds of corporate structures. They either hire crews to do their jobs (like smaller roofing companies except with foremen to oversee the jobs) or more commonly they subcontract the job. These subcontractors are usually paid per bundle instead of an hourly wage. This method encourages contractors to take more ownership for their work and generally pays better than the hourly rates that small roofing companies pay their employees. In the world of roofing there are three levels of advancement for the ambitious roofer. 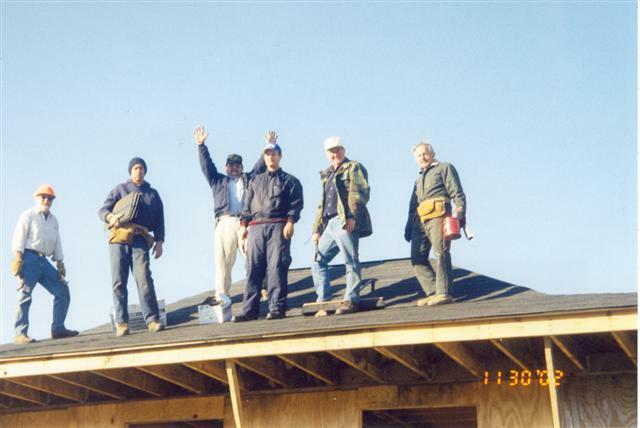 The first stage is becoming an employee, generally at a small roofing company. The most prized employees in these companies are “shinglers” who have learned the art of installing shingles quickly and precisely. Shinglers go on to become subcontractors with their own crews and they make up the work force of large roofing companies. Finally, some of these subcontractors will go on to start their own small businesses with crews that they oversee. Why is all this important? Because when you are hiring a company to do your roof you have to determine what methods they use. A small company’s flaw is that the owner is generally very busy doing estimates, overseeing his crew, paying bills, ordering shingles, and making sure his business runs as smoothly as possible. A large company will have more people dedicated to customer service and will be relying on sub-contractors and/or foreman to oversee the actual logistics of the job. When you hire a roofing company it is imperative that you understand the relationship a company has with its roofers to understand the kind of quality of work you will get from them.